NASA Ames Research Center and National Space Society (NSS) invite students worldwide up to 12th grade (18 years old) to participate in the 2019 edition of the annual Space Settlement Contest. The National Space Society (NSS) invites all 2019 contest participants to attend the NSS 38th annual International Space Development Conference (ISDC) in Arlington, VA, 6-9 June 2019. The subject is explained in more details on the official website. Space settlements are permanent communities in orbit, as opposed to living on the Moon or other planets. The work of Princeton physicist Dr. O’Neill and others have shown that such colonies are technically feasible, although expensive. Settlers of this high frontier are expected to live inside large air-tight rotating structures holding hundreds, thousands, or even millions of people along with the animals, plants, and single celled organisms vital to comfort and survival. There are many advantages to living in orbit: zero-g recreation, environmental independence, plentiful solar energy, and terrific views to name a few. There is plenty of room for everyone who wants to go; the materials from a single asteroid can build space colonies with living space equal to about 500 times the surface area of the Earth. 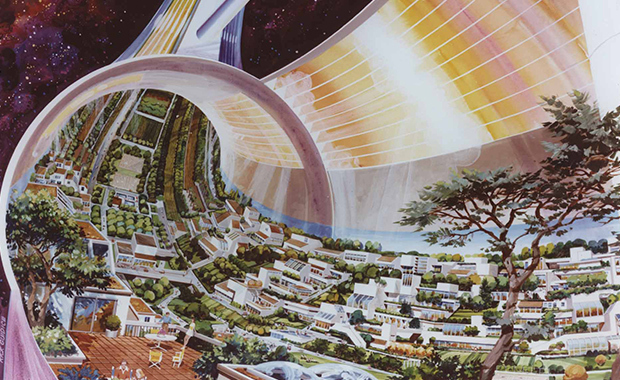 Students can design entire colonies or focus on one aspect of orbital living. The single highest scoring team or individual attending will receive the Herman Rubin Award of $5,000 and give a plenary talk at one of the conference’s signature events. All participants will receive a NASA certificate. The best submission will be placed on the contest’s official website. The 2019 contest will be conducted electronically. No more paper entries.